Quick released design to discount your cellphone easily. Exclusive anti-slipped design as hard as the steel. 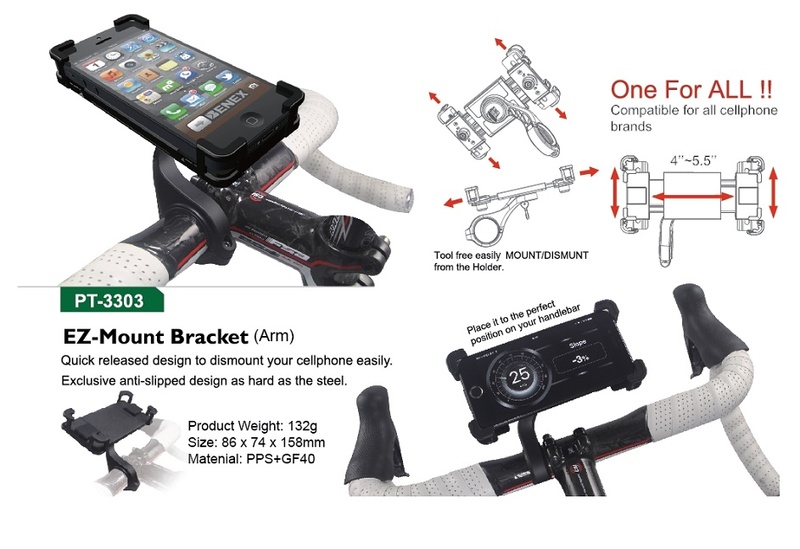 Viewing angles--Perfect angle to view the cellphone while cycling. Exclusive structure provides firm grasp by 4 clips and prevents from dropping. Turn to either horizontal or vertical position freely. Compatible for the size of 4’’- 5.5’’. One For All--Compatible forall cellphone brands. Tool free easilyMOUNT/DISMUNT from the holder.